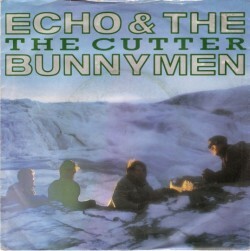 » Blog Archive » Echo & The Bunnymen – Not The Latest Kids Programme! Echo & The Bunnymen – Not The Latest Kids Programme! A journalist – who shall remain nameless – said to me the other day he’d never heard of Echo And The Bunnymen… and worse ‘that it sounds like a kids TV programme’!!!! In an effort to educate anyone who has forgotten/ doesn’t know/ has never heard of the fantastic Mac McMculloch and brilliant Will Sergeant. At The Bunnymen’s recent gig in Liverpool – Mac requoted ‘The Cutter’ as being … the greatest song ever written. It may not be – but it is still magnificent!